The purpose of notarization is to reduce the potential for fraud when parties are executing important documents. Therefore, the notary professional must have some way to verify identity to ensure that the signers are actually who they claim to be. Most of the time, the signatories will not be known to the notary professional, so proper ID is the best way to confirm identity. As more seniors are turning to mobile notary services who arrive onsite for document execution, it’s likely that you won’t know the notary public and must have ID on hand. The rules of different states vary on the types of identification that are acceptable for notary professionals. Some jurisdictions specify the documents a signer can use to prove their identity; others simply state that ID should have certain criteria, such as that it must be issued by state or federal government, must have a color photo of the individual presenting it, or must be signed by the person. If a state doesn’t designate a specific ID type, the notary public will typically require presentation of some form that allows them to compare physical appearance and signature to the document to be signed. While the laws may vary slightly, there are certain IDs that are acceptable in every state. In looking at these types of ID, you can see the similarities that make them sufficient for the notary public handling the transaction: Each includes the photo and signature of the holder, so the notary professional can compare these details to the person standing before them. These types of documents may contain your signature, but a notary public can’t confirm that the holder of the card is you without a picture. When it comes to signing off on important documents, a notary public will be required to validate your signature – which means you’ll need to have proper ID, no matter what your age. The notary process will move quickly and easily if you have valid identification, and it’s even more convenient if you use mobile notary services. 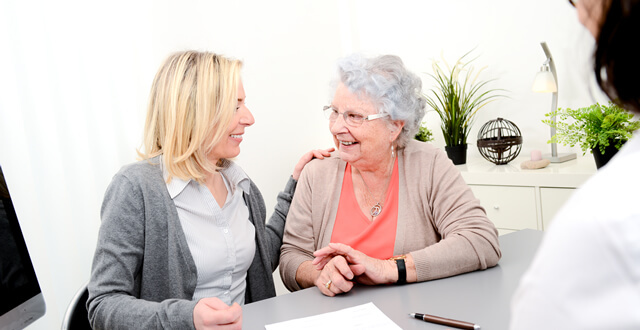 If you’re a senior that has difficulty getting around, contact a mobile notary public that will come to you.